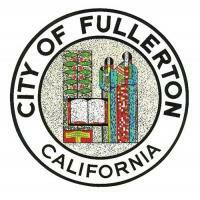 The City of Fullerton has released the draft of the Local Hazard Mitigation Plan, or LHMP. This plan will help create a safer community for residents, businesses, and visitors. The LHMP allows public safety officials and city staff, elected officials, and members of the public understand the threats from natural and human-caused hazards in our community. The plan will also recommend specific actions to proactively decrease these threats before disasters occur. The draft of the LHMP can be found on the city’s website by visiting www.cityoffullerton.com/LHMP. The link also provides information on the review period as well as facts about hazard mitigation. Hard copies are available at the Community Development Department at City Hall or the Reference Desk at the Main Library. Comments on the draft should be emailed to Heather Allen at HeatherA@ci.fullerton.ca.us by Monday, April 1, 2019.